Home → FCA Blog → So, this is happening! Susan Simmons is upset to learn that her favorite teacher, Ms. Schwartz, has left school with no warning. Things get even worse when she meets their new teacher, the stricter-than-strict Mr. Smith. Soon sixth grade is going bad faster than a dead fish on a hot day. Then Susan discovers Mr. Smith’s fantastic secret: he’s really a disguised alien planning to kidnap some of her classmates. To unmask the extraterrestrial in their midst, Susan enlists the help of Peter, the class brain. Duncan, the class bully, insists on helping too. But what can three kids do against such a powerful creature? NOTE: This recording is a production of Listening Library. 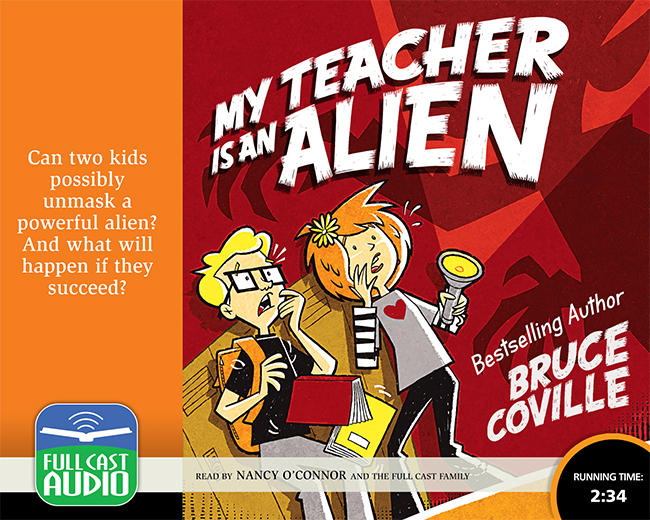 We have it on hand because it was written by our publisher, Bruce Coville.